Make pasta night easy with these delicious and easy baked meatballs in tomato sauce! Use to top any pasta you like, or try polenta. I think over the years I have made dozens of variations of meatballs. 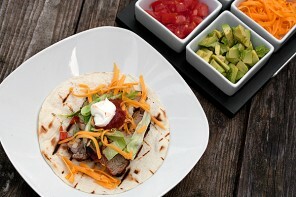 Different combinations of meat and different ingredient additions. I’ve tried frying them, baking them on a baking sheet, even dropping them raw into hot tomato sauce (I didn’t care for that one). All of my previous efforts have one thing in common. The darned meatballs fell apart. I hate that. Mainly because if I wanted little bits of meat in my tomato sauce, well I would have just made a meat sauce. And let’s talk about the shape, because I have made my fair share of square and triangular-shaped meatballs. Is it too much to ask to have a round meatball? I made huge meatballs today, since I knew I was going to photograph them and I didn’t want them to disappear in the sauce. You can make them any size you like though. If left to my own devices, I like them smaller, so there is more of that tasty, browned outside part. The sauce is a simple tomato sauce, that is started on the stove-top, but is added to the meatballs after they have cooked in the oven long enough to brown and cook off most of their fat. It’s nice to be able to spoon off the fat before adding the tomato sauce, so it doesn’t end up in the sauce. Once the sauce is added to the hot skillet, the whole thing cooks down beautifully into a rich tomato sauce, while the meatballs finish cooking, but stay nice and moist. And speaking of moist meatballs, these have a nice bit of ricotta cheese in them, so they are never dry. A good seasoning with salt and pepper is important in this dish, so you’ll want to taste test often and make additions as necessary. The tomato sauce needs a healthy bit, as do the meatballs, to really bring out all the great flavours. Serve these meatballs and sauce over your favourite pasta. These are delicious and easy. No frying necessary! And the meatballs stay perfectly round, moist and in one piece. 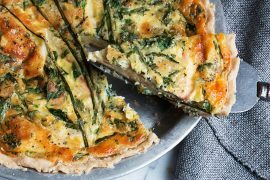 A great weeknight dinner idea. Serve with your favourite pasta. Start the tomato sauce: In a medium saucepan, heat a splash of extra-virgin olive oil over medium heat. Add onion and cook, stirring, until softened. Add the garlic and crushed red pepper flakes and cook, stirring, for another minute. Add tomato paste and cook, stirring, for about a minute more. Add the canned tomatoes, fresh basil and salt and pepper. 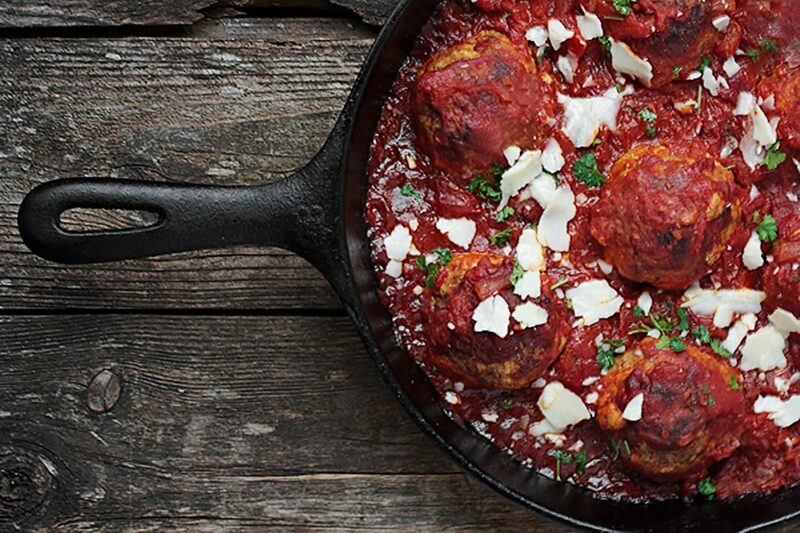 For the meatballs: Prepare a cast-iron frying pan by wiping with olive oil. Pre-heat oven to 400 ° F.
Place all the meatball ingredients into a medium sized bowl. Mix thoroughly by hand until they are completely combined. Coat your hands with a bit of olive oil, and using your hands, form mixture into 3 or 4 oz. balls. (will make 8-10 meatballs). 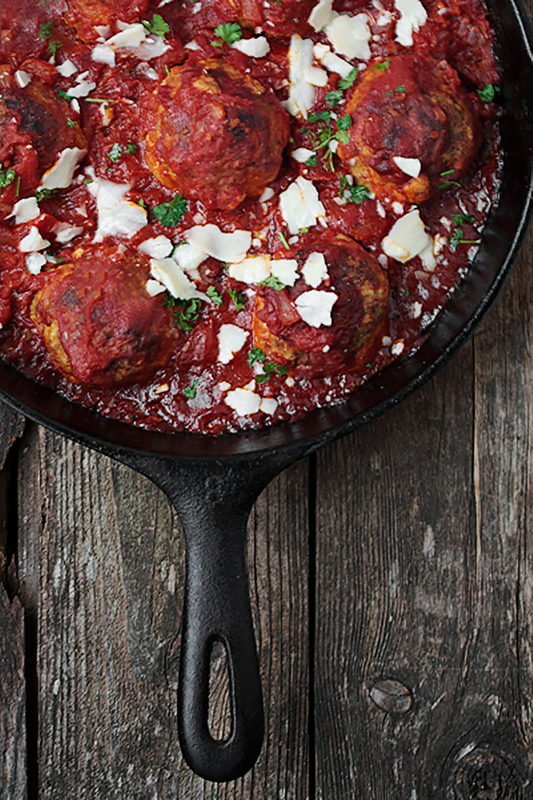 Place formed meatballs into the prepared cast-iron frying pan and place into the pre-heated oven. Set the timer for 40 minutes and cook the meatballs without moving them. Continue to simmer the tomato sauce, stirring occasionally and breaking up larger pieces of tomato. After 40 minutes of cooking, remove the frying pan from the oven. Carefully spoon off any fat that has accumulated in the pan, without moving the meatballs. Taste your tomato sauce and add salt and pepper as needed, to taste. Pour the tomato sauce over the meatballs and distribute evenly in the pan. Return to the oven and allow to cook a further 20-30 minutes, until the sauce is reduced. If the meatballs start to over-brown or look too dry, spoon a little of the tomato sauce over the top of them. Now is a good time to cook your pasta, if you are serving these over pasta. I’ve made these twice before and love them. 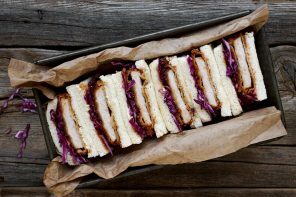 Do you think I could make any part of this recipe a day in advance? For instance, can I form the meatballs on one day, save them in the fridge, and cook them the next…or do you think they will they dry out? good stuff, but you forgot to add the garlic in the making of tomato sauce, probably not a problem for anyone if they read the recipe through first and realise that it should be sautéed with the oninions. Thanks for the heads up :) Will fix that! Made these last night and they were delicious! 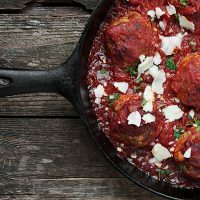 I have also made many varities of meatballs too, but never like this and I love the idea of baking them in the oven in my cast iron skillet – love that! Hi Jenn. I think anything cooked in a cast-iron skillet just tastes better (it may just be me, though :) These were delicious though. I know that for sure.